2014 saw Kitwe complete a new project for Abbey Archway Developments Limited, a Property Development Company based in Chester City Centre. 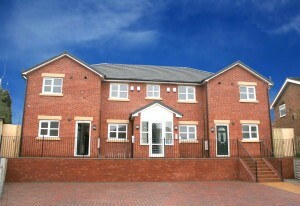 The project is a new Apartment Block in West Bank Chester, and comprises of 4 No 2-bed Luxury Apartments. All the Apartments benefit from fully fitted kitchens, luxury bathrooms and en-suites, secure entry systems and private off-road parking. West Bank is one of Chester’s most sought after residential areas and is within walking distance of the City Centre’s shops, bars and restaurants. All the apartments sold Off-Plan.